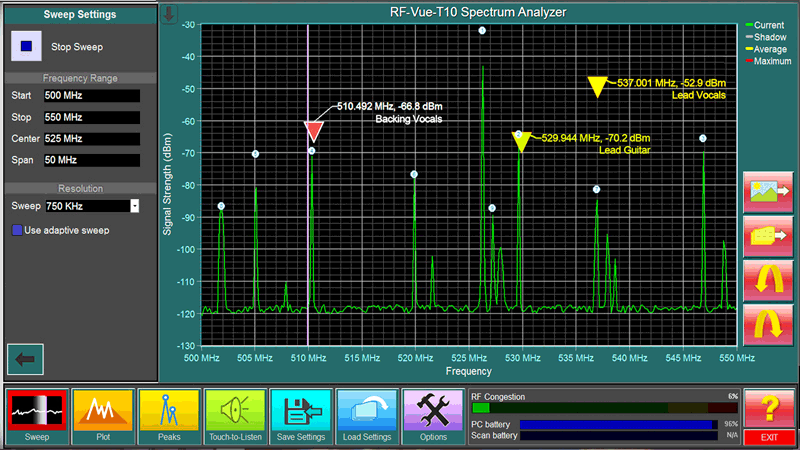 RF-Vue™ spectrum analyzer puts the RF spectrum at your fingertips for visualization and analysis of signals, interference, congestion and intermodulation from 50 MHz to 2.5 GHz. 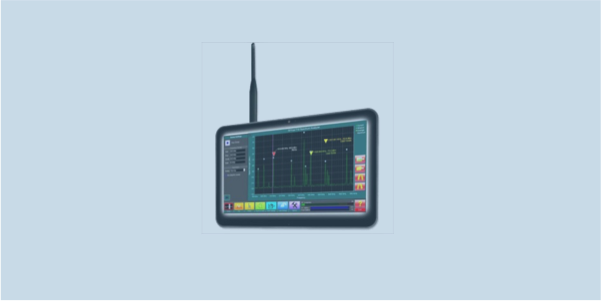 RF-Vue spectrum analyzer is ideal for RF wireless installations, interference hunting, site surveys, and general RF troubleshooting. 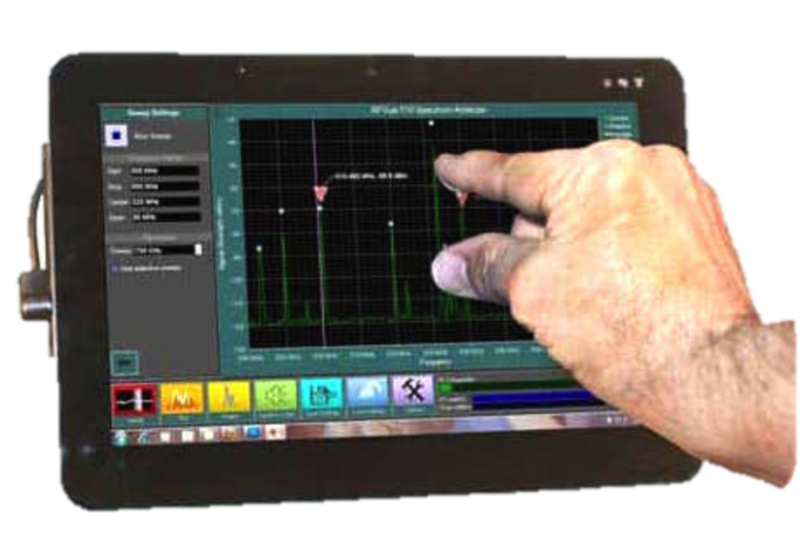 Loaded with world-class features and functions, RF-Vue literally puts RF analysis at your fingertips. Full touchscreen integration allows you to zoom in and out and navigate through the RF spectrum with simple swiping gestures. Choose unlimited custom, color-coded markers to label and monitor your own transmitters, as well as tools to identify, label, and monitor potential interference sources. For audio situations, the “Touch to Listen” function allows you to listen directly to analog transmitters to identify transmission sources and confirm that your own transmitters are still functional. An RF Congestion Meter gauges the severity of the local RF congestion and helps to identify open frequencies. RF-Vue is a trademark of Kaltman Creations, LLC.